If you thought that plaster was the only way to finish your walls, where have you been? 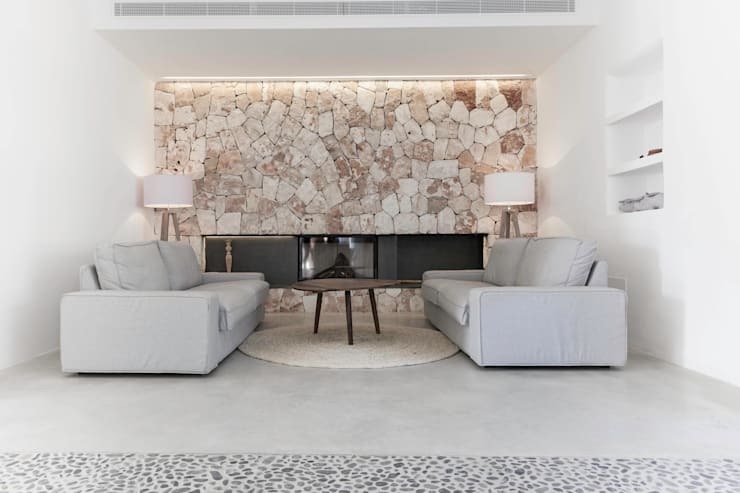 Interior designers have been leading a style revolution over the past year and suddenly, we are all spoilt for choice when it comes to creating incredible wall finishes! Colours, textures and materials have never been so exciting and when you stop to think about how many wall surfaces you have in an average home, it makes sense to make a whole lot more of some of them! From your bedroom to your kitchen, every room can stand a little feature wall fabulousness, so let's take a look at some of the most popular and impactful variations out there right now! Never out of style, marble looks rich and decadent in any room. Large slabs cut into tiles look absolutely incredible! 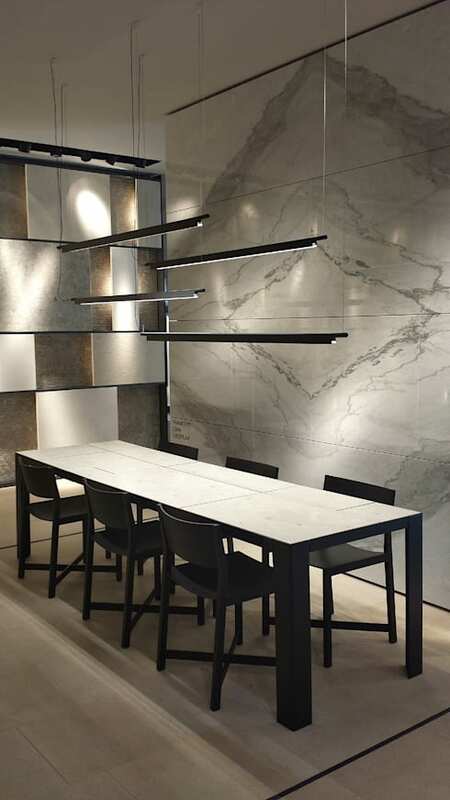 A special and unique finish, Vincenza stone is fine for your interior, but we can't help but love it as a façade addition! The striated styling just looks so striking when lit to perfection! 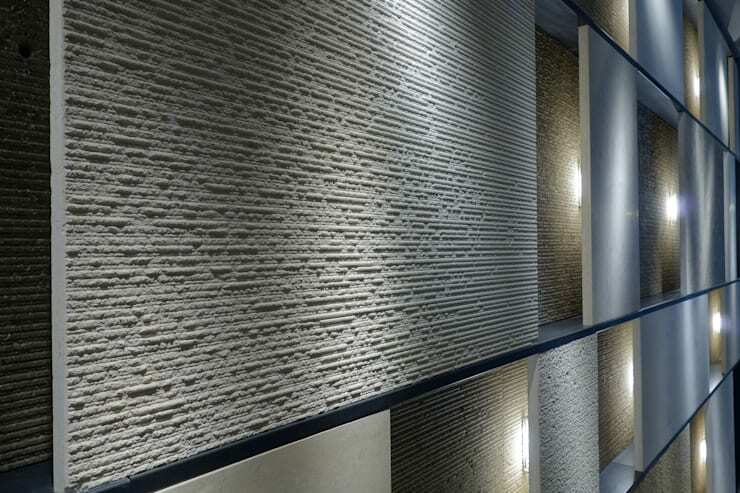 Chunky, rugged and textural, rustic stone makes for amazingly tactile interior walls. Imagine something like this in a converted rural home! 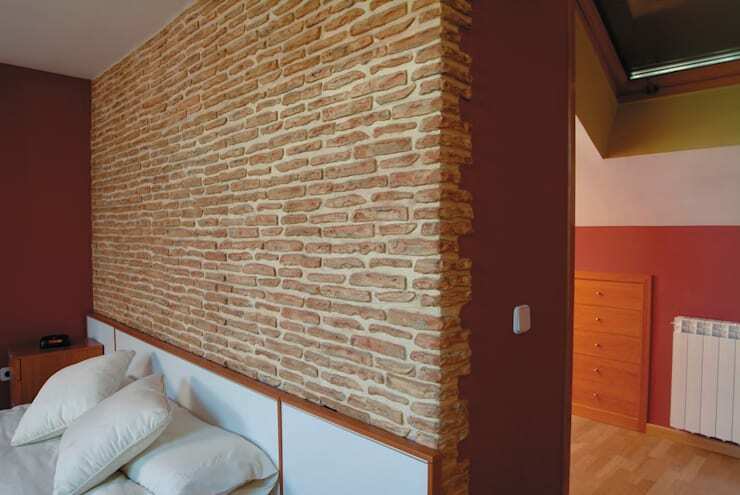 Why cover your red bricks when they add such texture and warmth to a room? 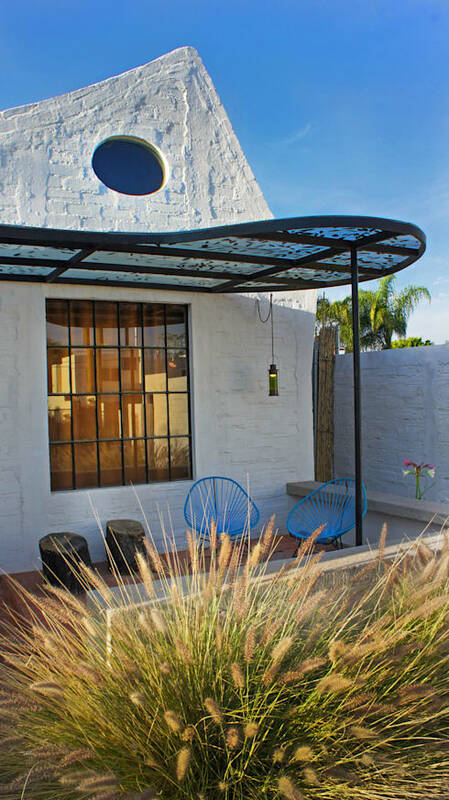 What a way to embrace organic styling! 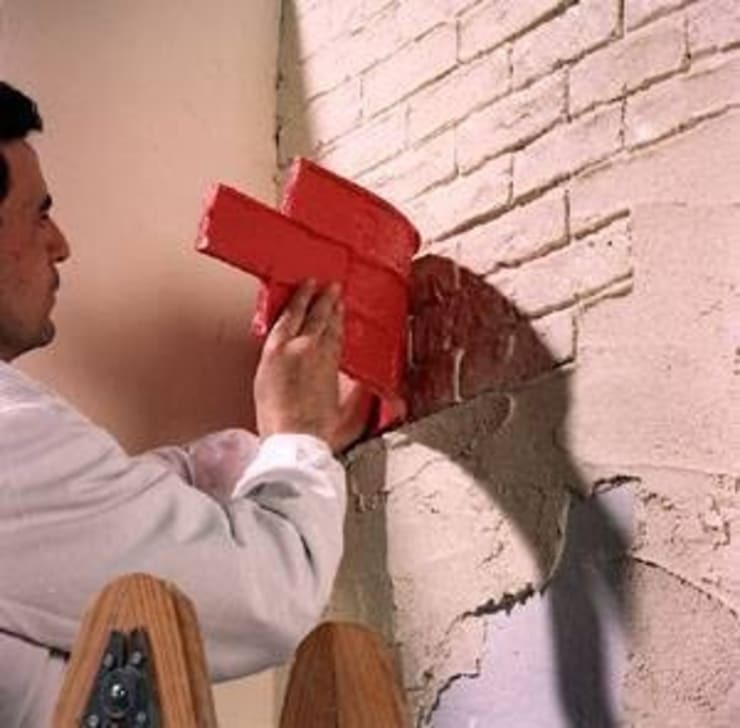 If you don't fancy stripping plaster from your walls, you can apply a fresh coat and imprint a brick effect into them! What a great cheat! 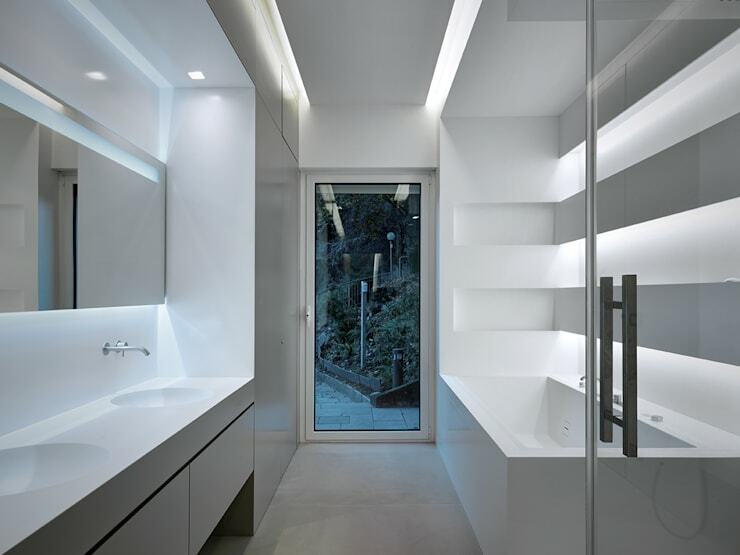 Amazing for bathroom walls that sparkle and look contemporary, melamine is so cool it is bordering on space-age! 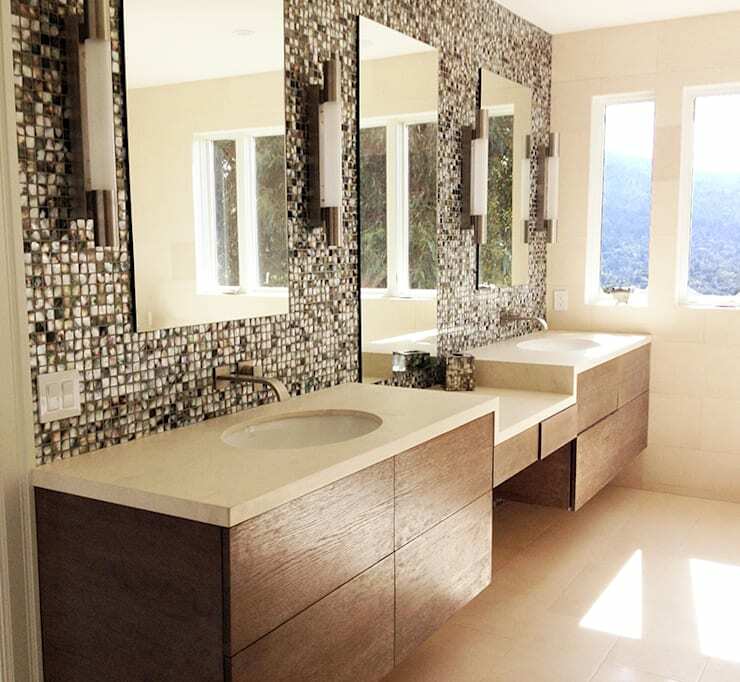 A stone mosaic wall is such an attention-grabber! Imagine how gorgeous this one must look when the fire is blazing! 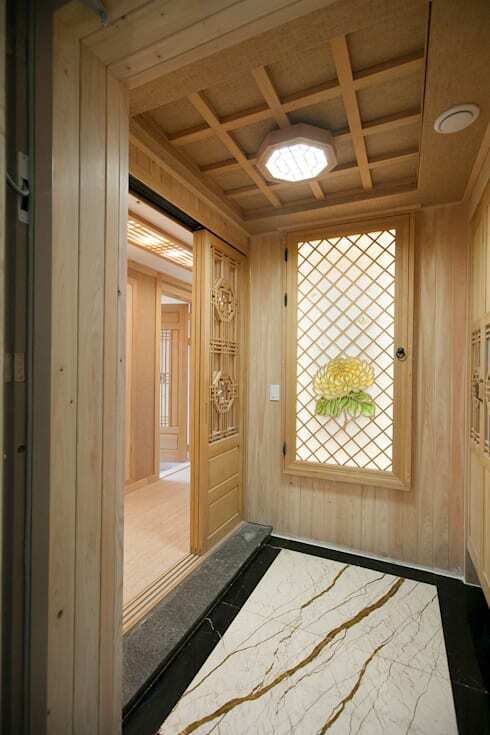 Natural wood walls are really popular right now, but for an update on the style, carved versions are something else! 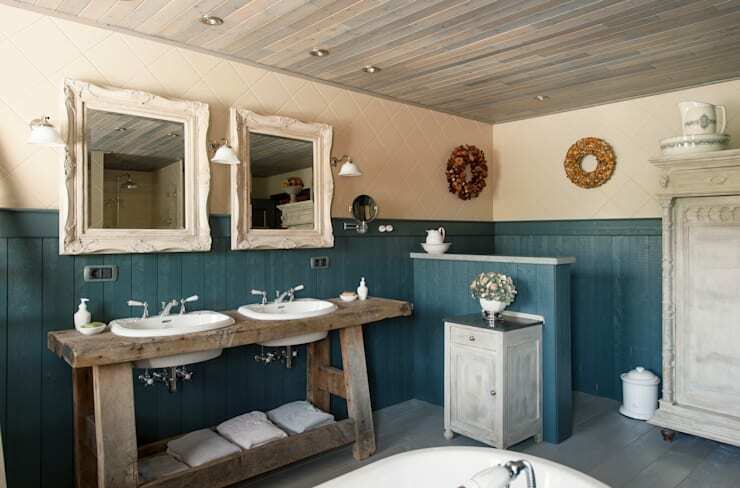 If you prefer a simpler finish, go for painted wood and you'll still be on trend. When normal mosaic tiles just aren't out there enough, look out for some mother of pearl varieties! Wow! 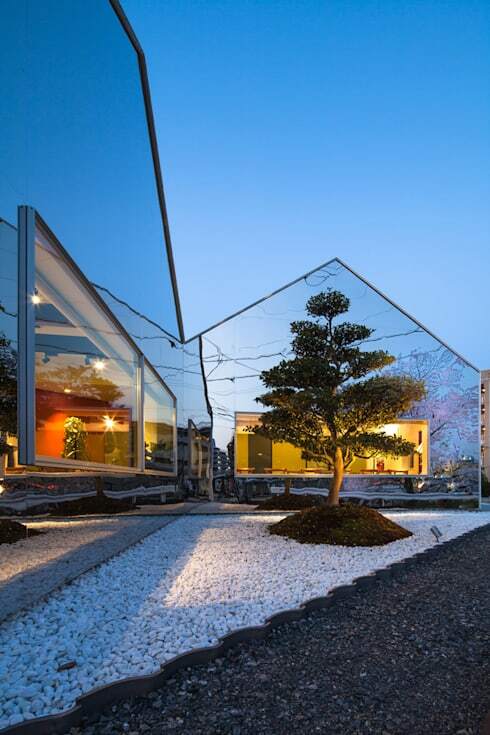 If you've always rather fancied yourself as a magician, grab the mirror panels and make your home disappear into the landscape! It's a bold look but we are so into it! 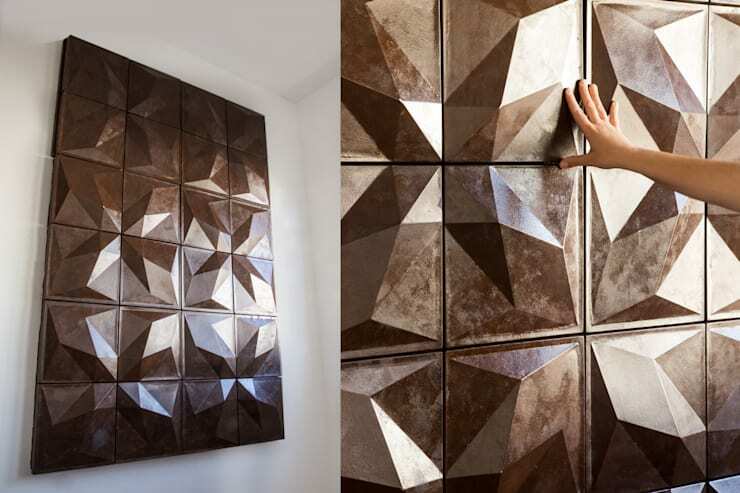 Every wall in your home can be art installation with the addition of 3D ceramic panels. They look so incredible! It would be hard to overshadow the amazing view in this room, but the granite wall tiles here are making an admirable attempt! The marbling is divine. 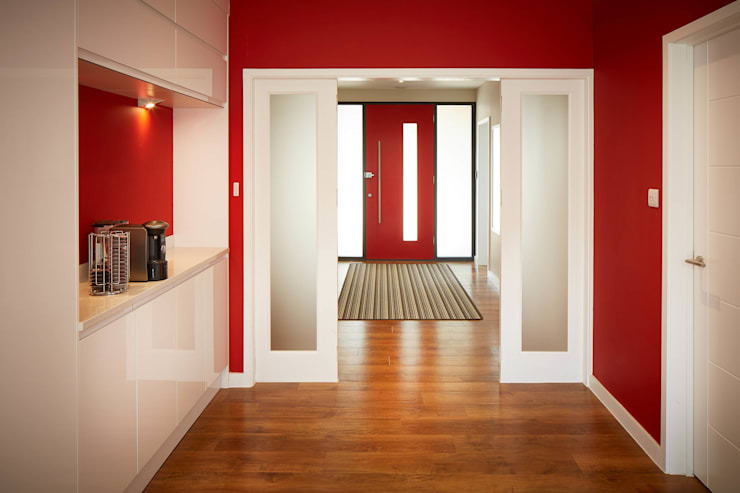 For a quick and easy way to add some oomph to your walls, a delightfully bold colour is a fail safe method. Step out of your comfort zone! External walls really flourish with a coat of rugged lime render! Even when painted, the finish is so striking! 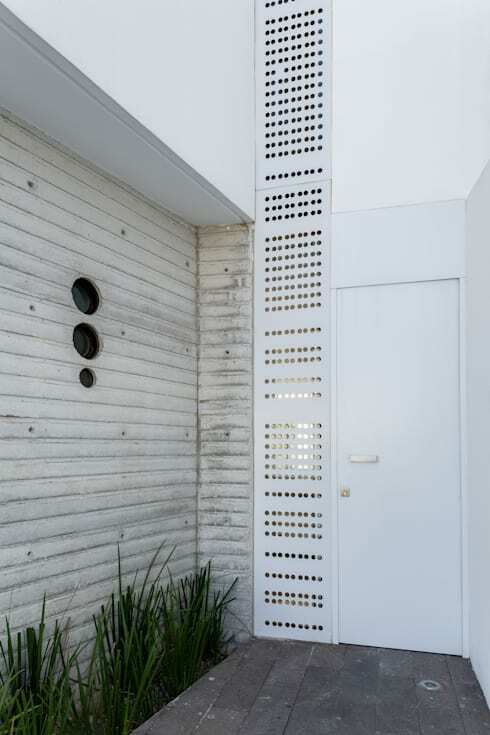 It might be a little industrial for some tastes, but steel is such a cool and modern aesthetic for your exterior walls! 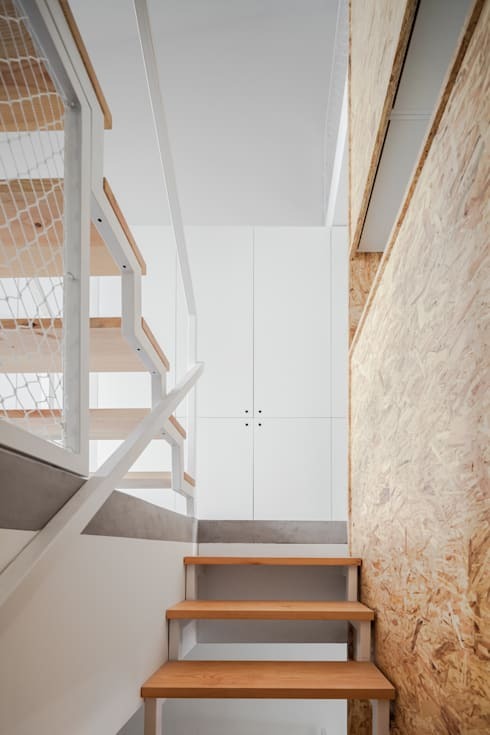 OSB board makes for such a rough and ready, yet still stylish wall. Even better, it smells of natural wood too, so adds something more organic to your home. 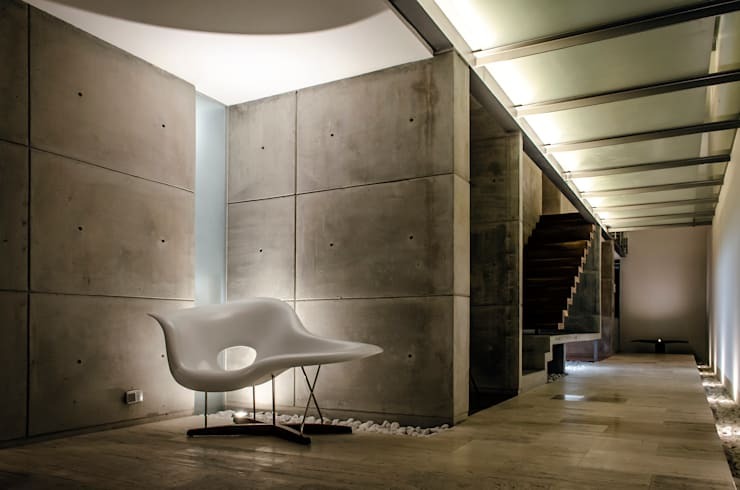 A modern favourite, polished concrete really makes for exciting walls! It feels somehow calming and impactful, yet is also neutral. Clever! When you like your concrete with a little more variety, tamped cement creates amazing effects, with the board lines staying in place! 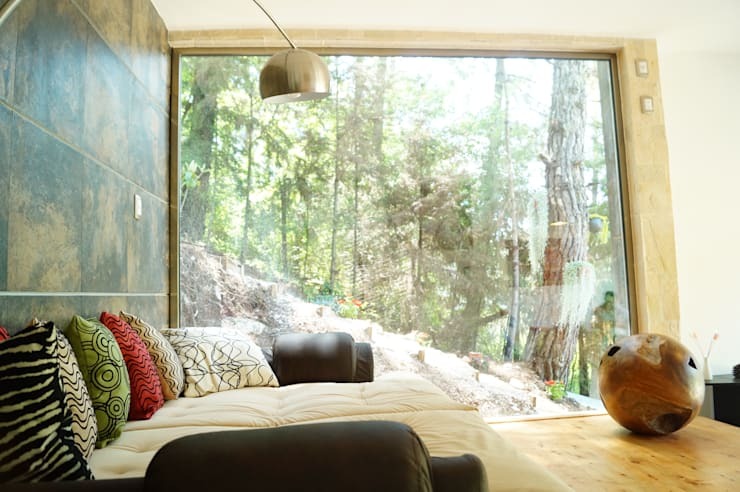 For more amazing wall ideas, take a look at this Ideabook: Wild walls. 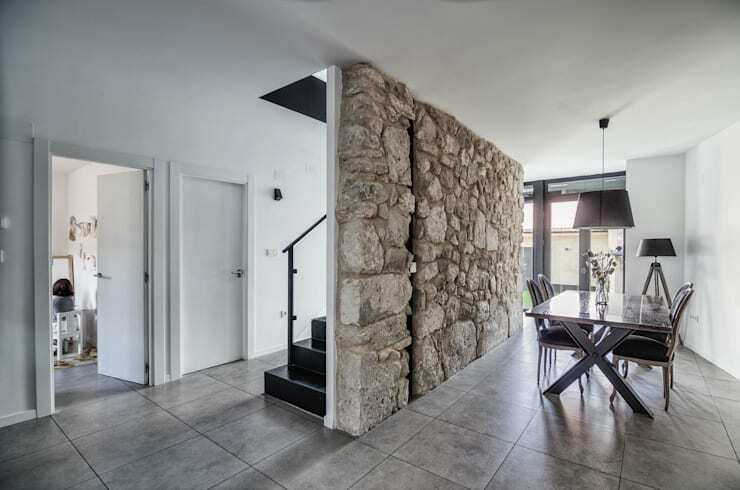 Which of these walls would you love to include in your home?